One of my community walked the camino to Santiago de Compostela several years ago, as has my good friend Cloister. Compared with them, my own very short and relatively cushy experience of being a Compostela pilgrim somewhat pales into insignificance - definitely camino-lite. I only walked for a few days, not several weeks; was part of a large, well-resourced group, not alone and reliant on the kindness of strangers. But even though it was brief, it was significant - for me and for those with whom I journeyed. And as today is the feast of St James and next month will be the 10th anniversary of my camino, I hope my friends and all other proper veterans will forgive me if I indulge in a bit of reminiscing! In August 2001 we gathered in Spain for a formation meeting: 30+ temporary professed RSCJ from various European countries - Belgium, Britain, France, Hungary, Italy, Poland and Spain - plus formation personnel, translators and some sisters from Congo and Venezuela in Europe for language study. We were then bussed to a mountain monastery, and, after a talk, prayers and sharing, walked to a freezing sports hall, from which we emerged, bleary-eyed, at 6AM the following morning, to begin walking in earnest. An inauspicious start, and yet, for me, that pilgrimage was to become a profound experience of Eucharist. We all carried as little as possible, and yet, from the little that we had, we shared food, sweets, ointments and plasters. We shared our stories and dreams, and, on one occasion, a few of us literally broke and shared bread which had been given to us for free by a baker. We looked out for strugglers and stragglers, tended each others' blistered feet and aching backs, and I found myself recalling words from our 1994 General Chapter: What draws us together is the celebration of the daughters and sons of God, where the little ones are the first, and where we wash one another's feet which are weary from the journey. We learnt valuable lessons about walking at our own pace, our strengths and limitations. Some were heroic, including one who cheerfully staggered on after a nasty fall. 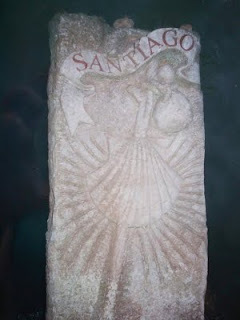 We arrived in Santiago in time for the daily pilgrims' Mass, then went to the convent where, that evening, we had an international fiesta, complete with food, drink, dances and songs from each country. Officially, we were celebrating our internationality and diversity - in reality, we were celebrating ourselves and each one's camino. Blisters and aches were cast aside - we were way too full of adrenaline and high spirits! The next day we settled down to the serious stuff, the meeting itself, about which I remember very little. There must have been a theme, input, discussions, prayer... but I can only remember snippets. (Although I do remember the final evening's liturgy and celebration!) And I'm not the only one: in the following years, if I met any of my "fellow-pilgrims", we would happily relive the glories of the camino, then struggle to remember what happened next! 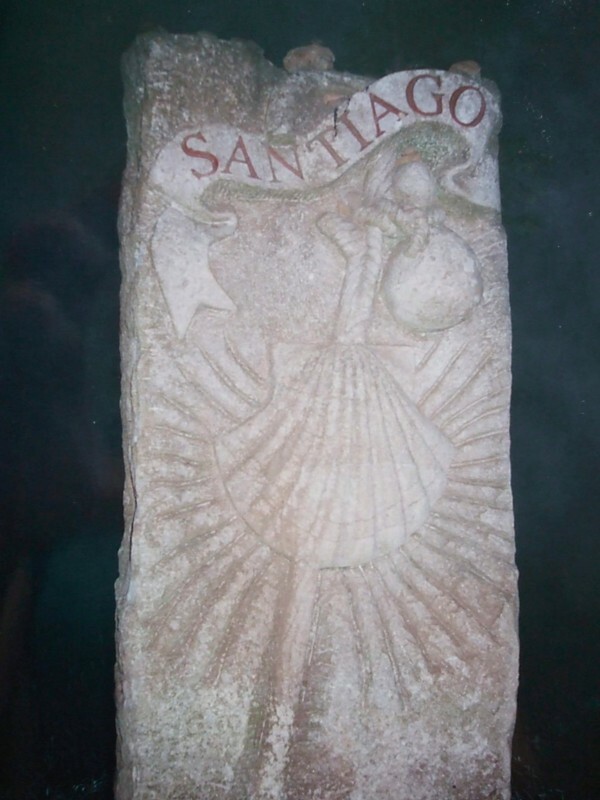 Happy feast and buen camino to all pilgrims and seekers - especially those bound for Santiago! Great post Silvana. I love the feast of St. James! I think every word of what you say here is true, and profoundly put. I am not half so eloquent. Thank you. Thank YOU C - a real compliment coming from a "proper" long-haul veteran! But please don't underestimate your own eloquence - you write beautifully, whether it be deep insights or a recipe!